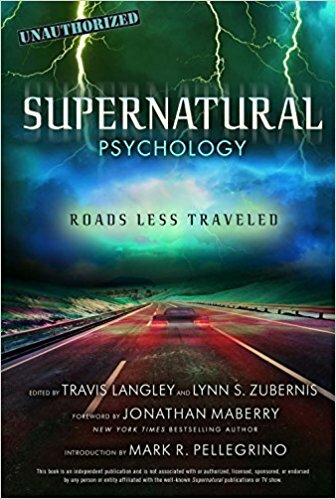 The second episode of Supernatural’s 13th Season kept up the momentum we began with the season premiere. There was a bit more exposition than I might have liked, and a bit of that jumping around that sometimes jars me, but there were also some intense and emotional scenes – which is what I like the most about this show. This is a one-time-viewing review thanks to being away on a family mini vacation, but it was a memorable episode. So what did I enjoy? 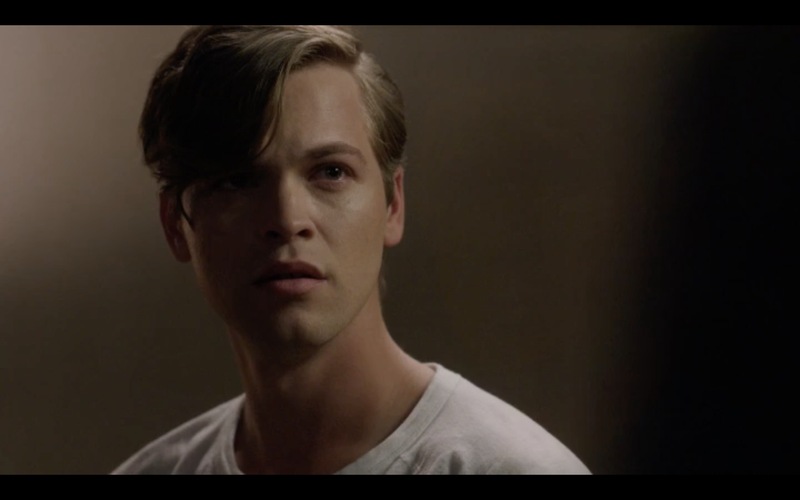 Once again, I really appreciated Alex Calvert’s portrayal of Jack and the way the character has been written (and in this case directed by Tom Wright). I haven’t been so captivated by a new character in a long time and much of that is due to Calvert’s fine-tuned and never over the top acting skills. He shows us a vulnerability to Jack that makes it impossible not to root for him, even when he loses his temper or jumps to conclusions like a toddler having a tantrum in a grocery store. The character shouldn’t work as well as it does – we should be skeptical of what almost seems like it could be a ‘jump the shark’ move, introducing the main characters’ much younger neighbor or brother or whatever. Of course in this case, the main characters are still hot like burning so Calvert may be younger but the hotness factor is now just spread over more people. Still, it might have been seen as a jump the shark move, but it’s too well done and Calvert is just too good to let that be the case. Case in point. Jack trying to be just like Dean broke my heart. Imitating his every move. Wanting to watch Scooby Doo (nice reference to the upcoming crossover, Show). 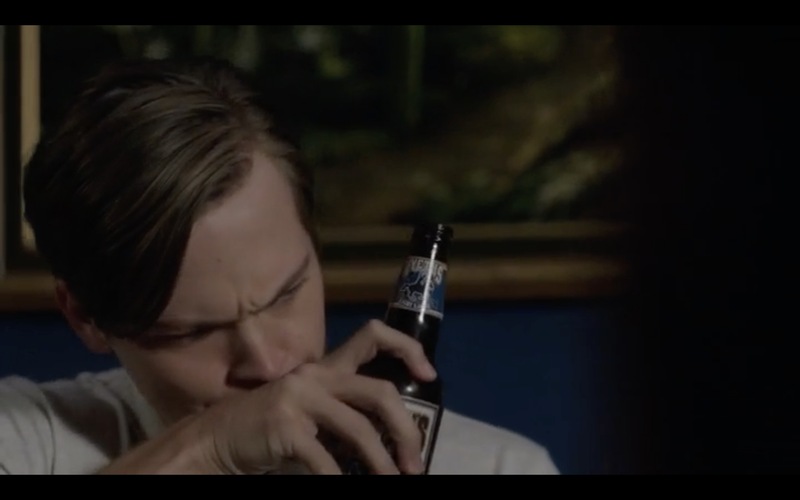 Dean starts to get drawn in – his caretaking instincts kick in momentarily as he questions whether Jack is old enough to drink a beer – and then he pulls back, reminding himself who Jack is and telling him to knock it off and stop imitating him. 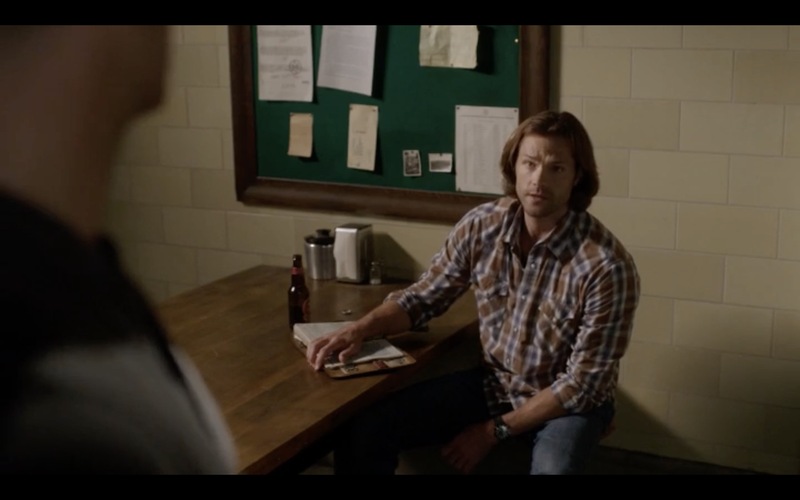 Dean tosses Jack the Bible instead, where he reads about Lucifer, his actual father. Jack: And that’s a bad thing? Jack: And God, is he famous or something? You might say that. Poor Jack, so earnest and so confused. Both Alex and Jensen were phenomenal in those scenes – and so was Jared was. Sam watching with such a fond look on his face, no doubt remembering when he was doing the same thing, trying to be just like his big brother. 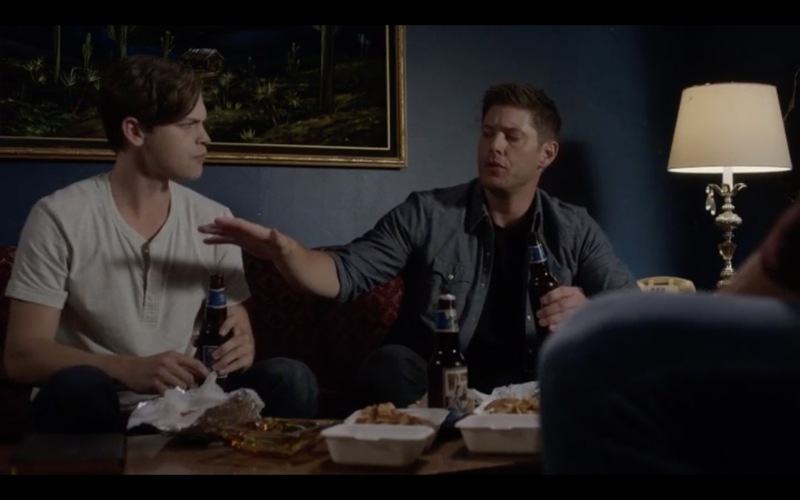 When Dean admonishes Jack that his food isn’t going anywhere, Sam is incredulous, reminding Dean that he’s the same way. I mean, basically everyone just wants to be Dean Winchester. Which is totally understandable. The constant back and forth between Dean and Sam about just how human Jack really is worked for me too, Sam keeps referring to Jack as ‘him’, while Dean sticks to depersonalizing Jack, calling him ‘it’. Their disagreement about Jack also allowed the show to inject just the right amount of humor into what was mostly a serious episode. Dean trying to get Jack to teleport out the door to their motel room was hysterical, especially as Jack responded to ‘get to the other side of the door quickly’ by getting up and calmly walking across the room and through the door, then knocked. The smile on his face was priceless, as was Dean’s eye roll. Every scene of Sam and Jack together was a treat. There is so much depth to their relationship already, mostly due to what we know about Sam’s own history of feeing like a ‘freak’ who Dean might just have to kill if he can’t control his powers. Jared’s nuanced acting and his ability to show us Sam’s vulnerability invest every scene of Sam and Jack with so much emotion. Sam clearly has empathy for Jack. Not sympathy, but empathy. He can put himself in Jack’s shoes because he has BEEN in Jack’s shoes. Trying to win Dean’s approval, trying to be just like Dean but fearing he never can be – that’s exactly where Jack is right now. In recent interviews Jared has talked about how satisfying it is to have a story line for Sam that he can really did into. Jack is forcing Sam to relive some of the most difficult times of his life, and probably pulling some of those old doubts to the surface as well – especially when he can’t convince Dean to see Jack as he does. We also get to see that Sam learned a lot from Dean about caretaking though, since he’s every bit as nurturing of Jack as we all know Dean was nurturing of Sam. Which brings me to another thing I really enjoyed in this episode – Sam and Dean sitting across the kitchen table or wherever they happened to be and really talking. Sam being honest, trying to convince Dean. Dean listening and being honest back, even if that means both of them acknowledging that they’re having a disagreement. But they’re not fighting and they’re not tuning each other out. They’re valuing each other’s perspectives even when they don’t agree. And let’s face it, I’m always going to be a happy fangirl when the brothers are having a serious conversation, anytime any place anyhow. Period. Sam knows his brother. And I love how well he knows his brother. He knows that the unimaginable losses they’ve just endured have pushed Dean past the breaking point, that Dean is shutting down in an attempt to deal with all the pain. 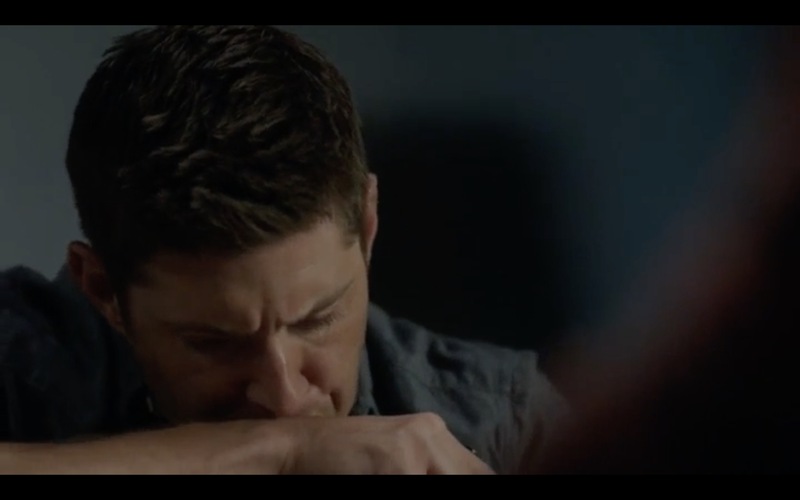 He also knows that he is the only one who might be able to help Dean through that kind of grieving. Sam: We’ve been down before. We find a way, we fix it. Because that’s what we do. That right there? That is my Show! 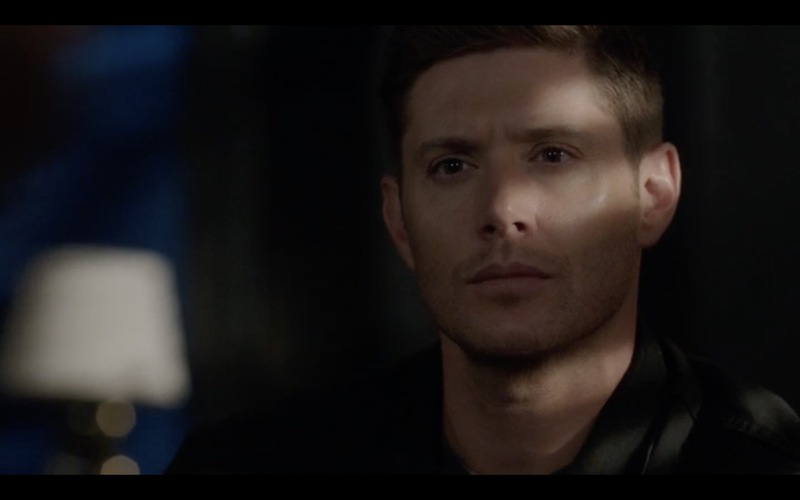 The blank, almost dead expression in Dean’s eyes nearly killed me though. How does Ackles even get his face to do that?? 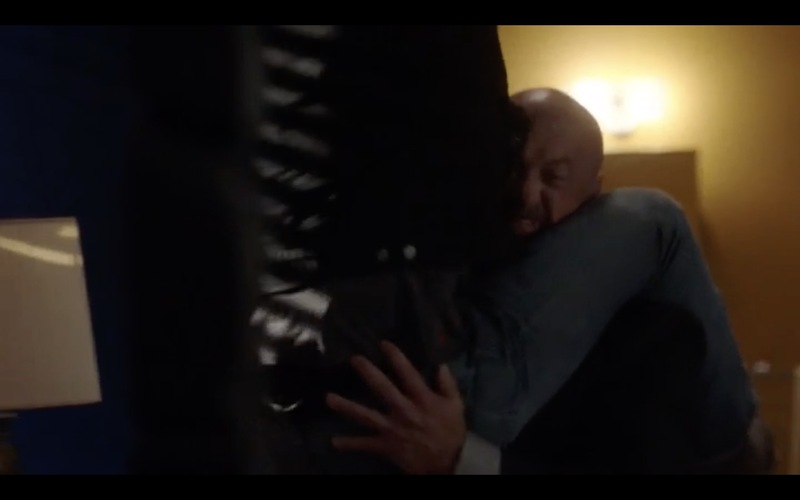 What I missed most about last season was being able to see and feel the brothers’ relationship. That’s what makes the show special for me, and if I don’t see it, the sense of specialness fades. So the focus on Sam and Dean and how they’re feeling, about Jack and about each other, feels really good – it feels like my Show. 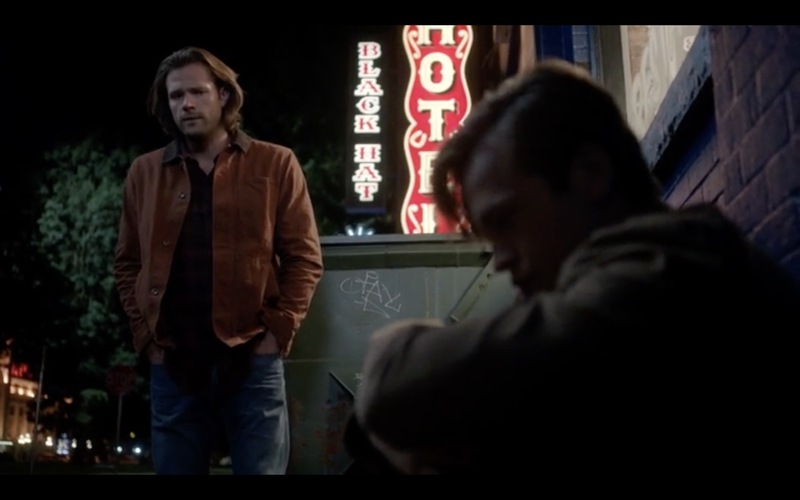 I love love loved the scene where Jack retreats outside to the alley to hide after witnessing Sam and Dean arguing about him (in a perfect depiction of every child of fighting parents who feels to blame and caught in the middle). Also, oops, turns out that Jack can teleport after all! Jack looks up at Sam and asks plaintively ‘Is that why Dean hates me?’ My heart breaks for him, and then in a flash I’m both smiling and sobbing at the same time because of what Sam says and the tenderness with which he says it. Padalecki nailed this scene, as did Calvert. And Sam shows us all just how well he knows his big brother. Even though they don’t agree, Sam understands why Dean is reacting the way he is. Sam explains that Dean’s wires get crossed when he’s afraid – that he feels like it’s his job to protect everyone. Not just Jack, but to protect people from Jack too. I don’t know why, but that scene just gutted me – in the best way. Sam isn’t angry at Dean, not at all. He understands why Dean is so vigilant about Jack and he understands how that ties into the messages that were ingrained in Dean from the start. The protector – of Sammy, and now of everyone else. Jack questions whether he’s worth caring about, breaking my heart again, but Sam reassures him. Sam: Your mother thought you were. So did Cas. So do I. He later tries to explain to Dean how Jack is feeling, ghosts of the Winchesters’ past once again coloring his words. Sam: Jack is scared to death of who he is and he’s scared of you. I don’t always love what Eugenie Ross-Leming and Brad Buckner write, but I loved some of these scenes so much. Thank you for the Sam and Dean conversation, and for remembering how well they know each other. I was also happy to see the return of Donatello, since I like the actor who plays him. Also he has a great entrance line. Donatello: Sam? Dean? Is God with you? 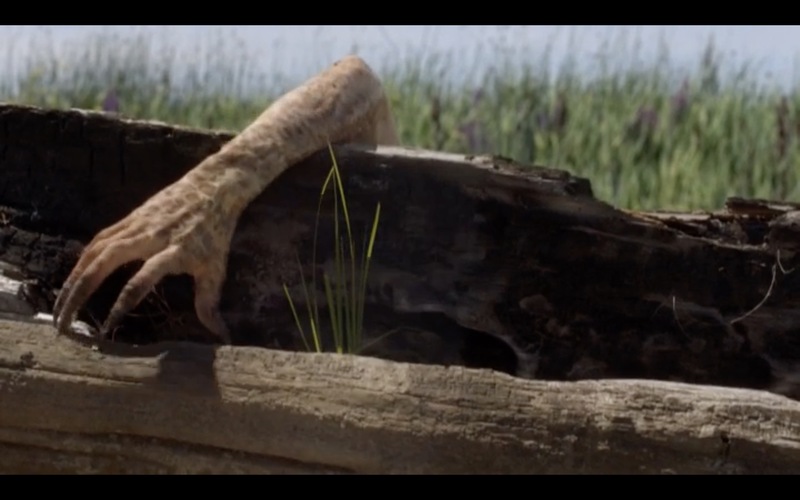 Only on Supernatural would that sound totally normal. I don’t think Donatello entirely appreciated the view, but if I ever end up flat on my back unexpectedly, I hope this is what greets me when I look up. I kinda love Donatello’s resourcefulness. Had your soul sucked out of you by the Darkness? Just keep asking yourself ‘What would Mr. Rogers do?’ I feel like if more people asked themselves that, we’d be in much better shape right now all around. 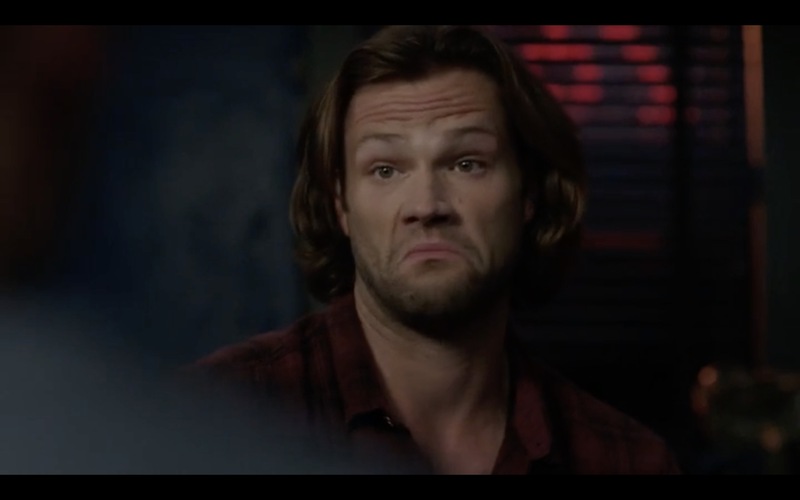 Also that moment when Donatello tries to get paternal and puts a hand on both Sam and Dean’s shoulders – and they shrug him off totally in sync? Perfection. What else did I like? Oh yes, the tattoo scene! It was a big week for tattoos in the Supernatural fandom, since the day before Jensen Ackles got his first one. The suspense and anticipation waiting for it to be revealed had fans on the edge of their seats for over 24 hours, and then gasping in delight when we finally got to see it. When Ackles decides to do something, he goes all in. Tattoos are no exception. The fact that it was for his daughter (and was also strikingly beautiful) just made it more awesome. 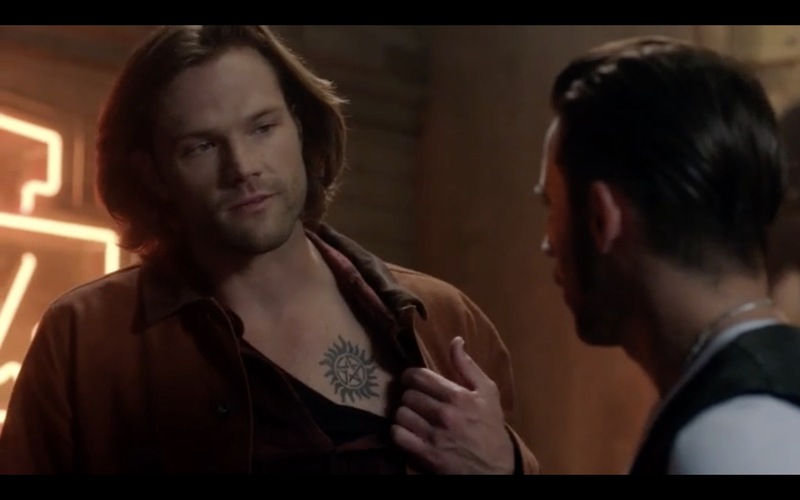 Anyway, it was tattoo week for SPN, so Sam and Dean also take Jack to get the protection sigil tattooed. Too bad getting a tattoo hurts (props to Ackles but I’m sticking with my one small one, because OUCH), and that means Jack involuntarily throws the artist across the room. He perseveres and Jack manages to allow it, only to have them disappear as his Nephilim body instantly heals itself. Oops. I also liked Sam’s explanation, and the fact that the showed off his own. Sam: We’re brothers. It’s kind of like a family crest. Yeah it is. Glad to see Sam still has his! 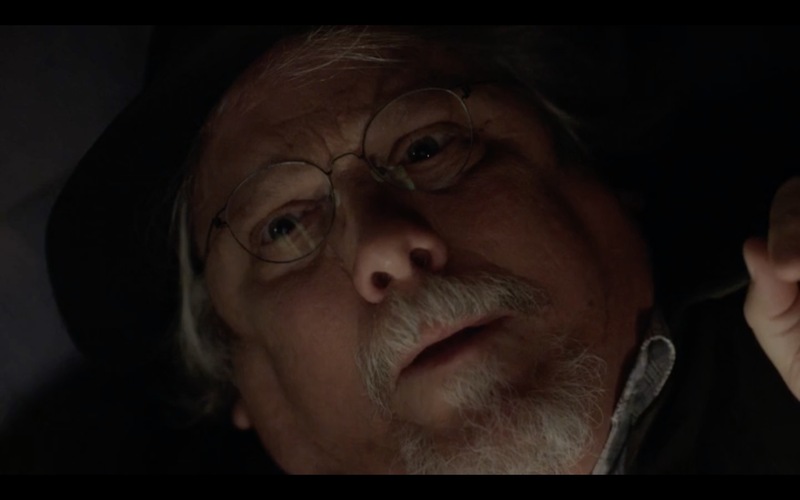 One last thing that I really appreciated about this episode. Rob Hayter, the new stunt coordinator, has really been pulling out all the stops this season so far. 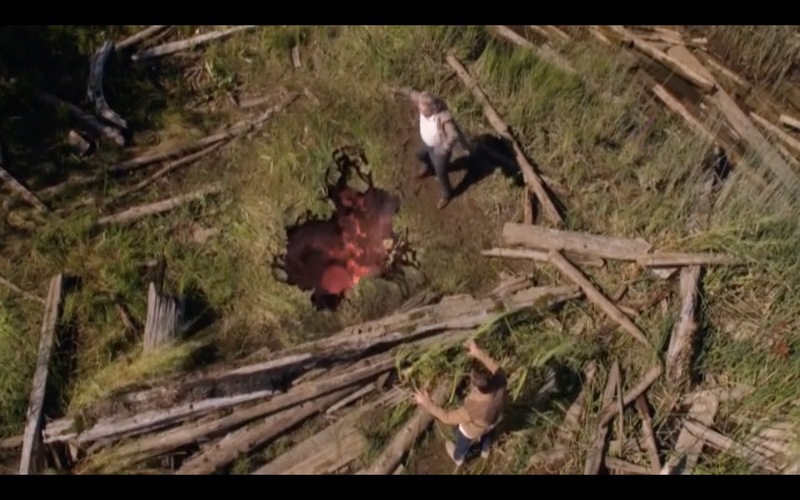 The fight scene in this episode, mostly between Dean and a demon, was friggen’ amazing. Once again, I think it’s pretty clear that Jensen did the scene himself – those are definitely his thighs wrapped around that demon as he tries to fight it off. I mean, not that I know for sure, not like I’ve looked that closely or anything, but….yeah, I’m pretty sure. I’m not sure that other actor really appreciated the logistics of his situation, judging by the face he’s making. Pity. 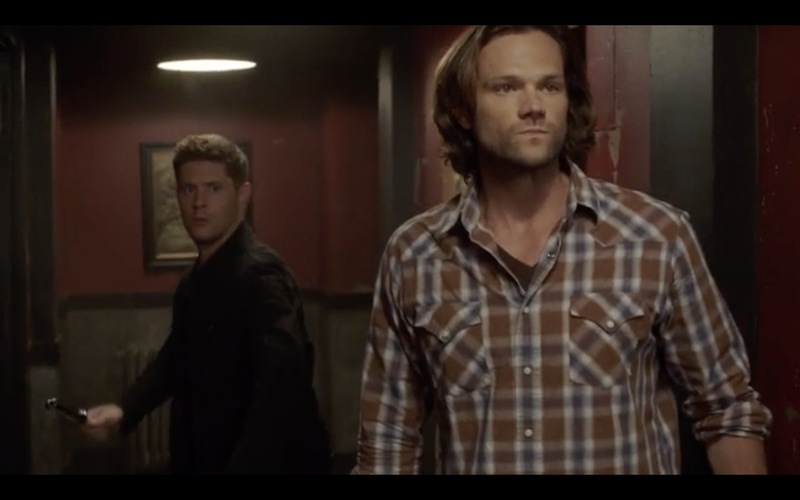 I loved the all-in fight scene, I loved Sam rushing in and saving the day (and his brother), and I loved Dean being totally badass and throwing an angel blade down the hallway to take out another demon. Damn, boys! 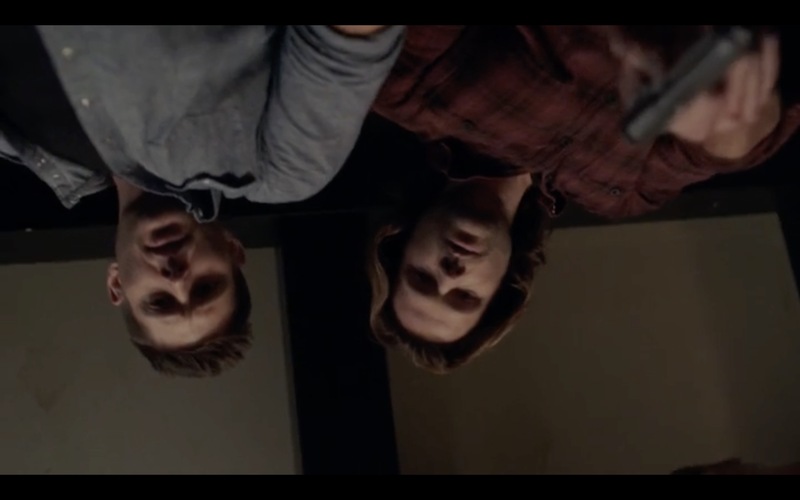 Love me some badass Winchesters. The other two things that happened in this episode – because A LOT happened in this episode – were the introduction of Asmodeus and Michael. Asmodeus, the fourth prince of hell, is determined to find Lucifer’s son – and sway him to evil doings. Apparently back in the day Asmodeus tried to curry favor with Lucifer by freeing the shedim, very big bad things that even scared Lucifer. Their disagreement is how Asmodeus ended up scarred – and loyal to Lucifer. (And all that means that Asmodeus had a hell of a lot of exposition). I understand why they need someone to replace Crowley who can go back to being a really bad guy instead of the bad guy we all ended up loving, I do. And Jeffrey V Parise did a good job investing the character with personality and menace. But I’m still grieving Crowley and Mark Sheppard and having a hard time with the simple fact that he’s been replaced. I just…I miss Crowley, okay? Asmodeus is able to take whatever form he wants, which is handy for him and inconvenient for the Winchesters. 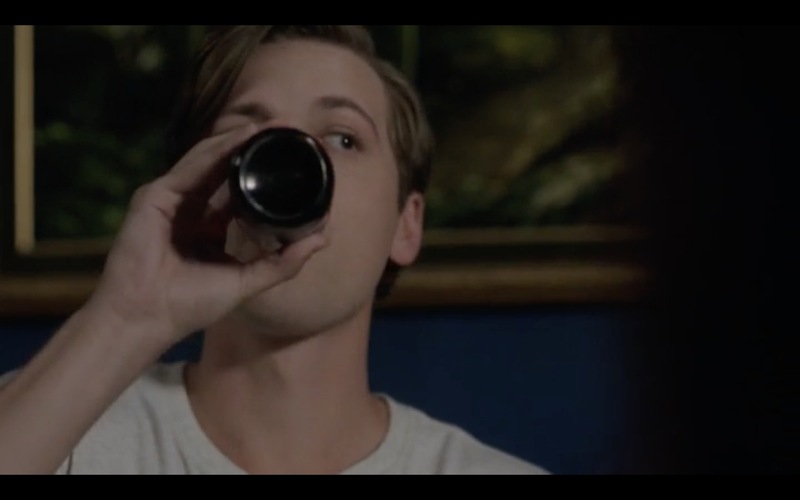 First he pretends to be a bartender chatting with Dean (and thank god he didn’t hit on her, which would have made zero sense in the context of the story) and then pretends to be Donatello getting info from Sam. The most suspenseful scene of the episode was Asmodeus/Donatello trying to convince poor Jack to free the Shedim after feeding him some BS about how it’s the right thing to do. I was actually screaming at my TV, NOOOO Jack, don’t do it! As Sam and Dean and the real Donatello raced there in Baby, I wanted to yell at Dean that it wasn’t Jack’s fault, he didn’t realize what he was doing! 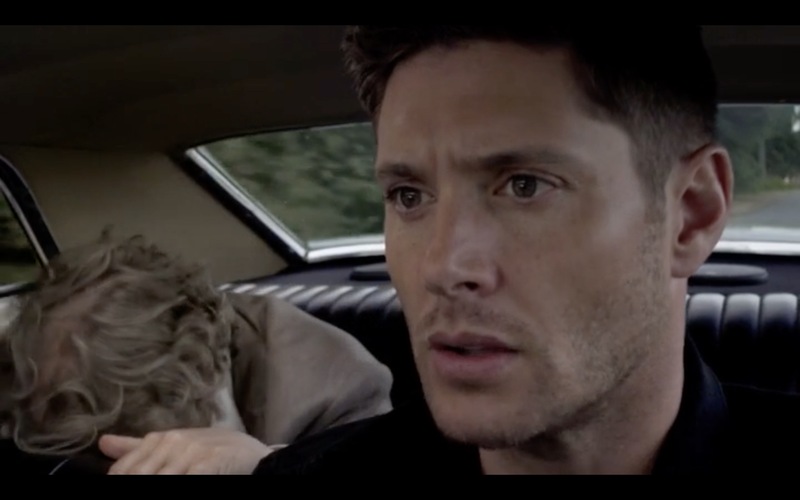 Also props to Serge and Tom Wright for the gorgeous Dean close-ups in the car. Anyway, Jack comes close to opening a hell mouth and setting the Shedim (who are a very big bad and whose almost-introduction was super creepy) free. Luckily Asmodeus makes the mistake of attacking the Winchesters, and that lets Jack know what’s right and wrong in that moment. He zaps Asmodeus out of there, accusing him of “hurting my friends”. Now I’m screaming at my TV, did you hear that, Dean?? Of course Sam brings that up later, but it doesn’t necessarily change Dean’s mind. He tells Sam that they aren’t on the same page, not at all. But Dean is clearly conflicted, and Ackles plays that, ever so subtly. As Dean heads down the hall to his bedroom, he hears noises. Jack stands before a mirror, stabbing himself repeatedly, his white tee shirt torn in multiple places, the blade red with his blood even though he’s healing instantly. 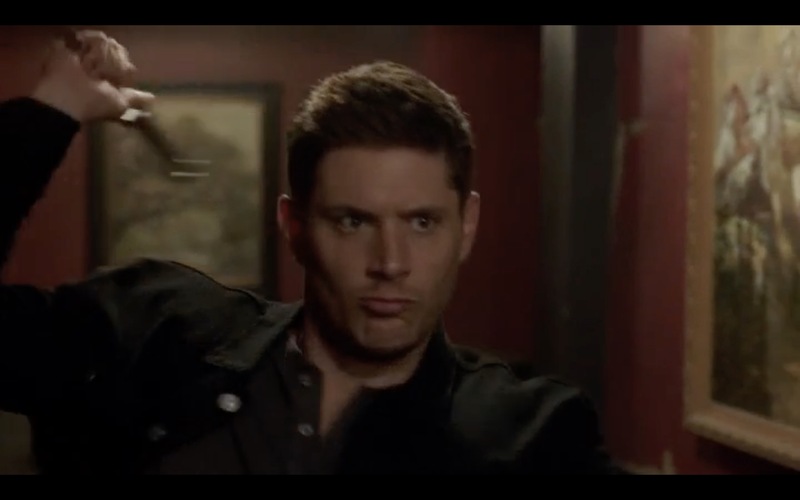 Dean, clearly distraught, grabs the blade away from Jack. Again, his instincts to protect kick in, and then he fights them. Jack: What am I? I can’t control whatever this is. I will hurt someone. 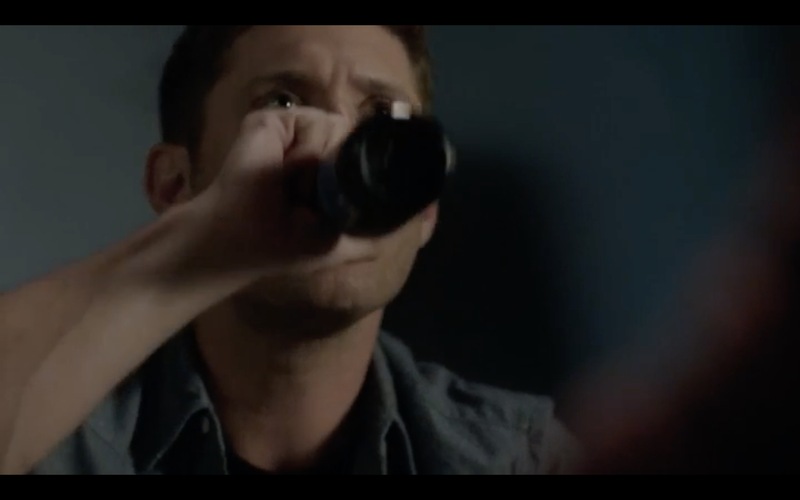 Dean says that if he’s right and it comes to killing Jack, he’ll be the one to do it. Ouch. Such a powerful call back to what John wanted Dean to do to Sam, if it came to it. That scene totally broke my heart. The show jumps back and forth between the main story and what’s happening in the AU, where Mary is trapped with Lucifer, and that also threw me a bit. I never like it when we jump back and forth between (as of now) unrelated stories, and this episode was no exception. 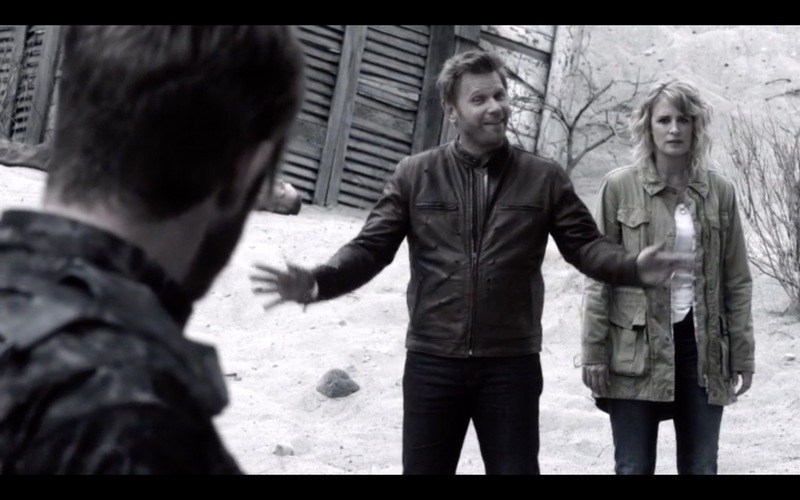 That takes nothing from Samantha Smith’s or Mark Pellegrino’s performance, they have a good snarky (him) and eyerolling (her) vibe going on between them, but I kept wanting to get back to the Winchesters. 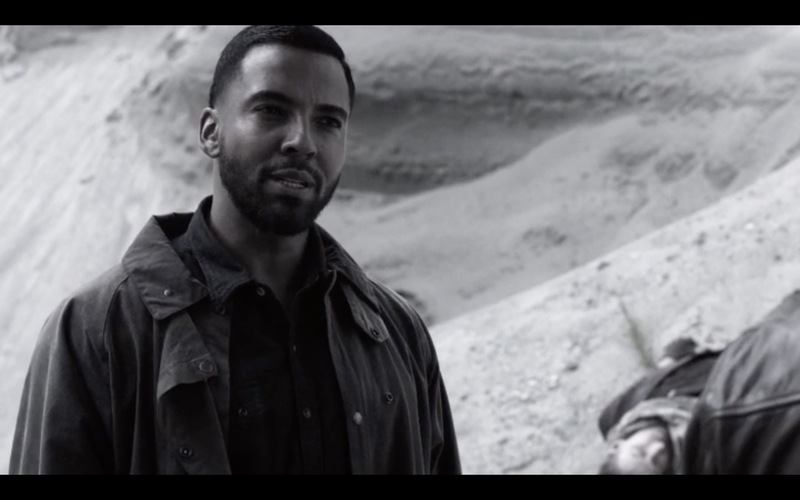 Eventually in the AU they encounter Michael, who in his world has vanquished Lucifer. The two archangels tangle, and it looks like Michael can best Lucifer in this world too. At least for now. So mostly a “YES!” review for this episode. While John Winchester wasn’t explicitly mentioned in this episode, the theme of fatherhood was all over it. Lucifer and Castiel as Jack’s father figures, the Winchesters as Jack’s “two dads”, even Dean’s conversation with Asmodeus-as-bartender about always wanting to please your father. That makes me excited to see where we’re going, and to watch Sam and Dean (and eventually Cas) struggle with what it means to “parent” someone, let alone someone like Jack. 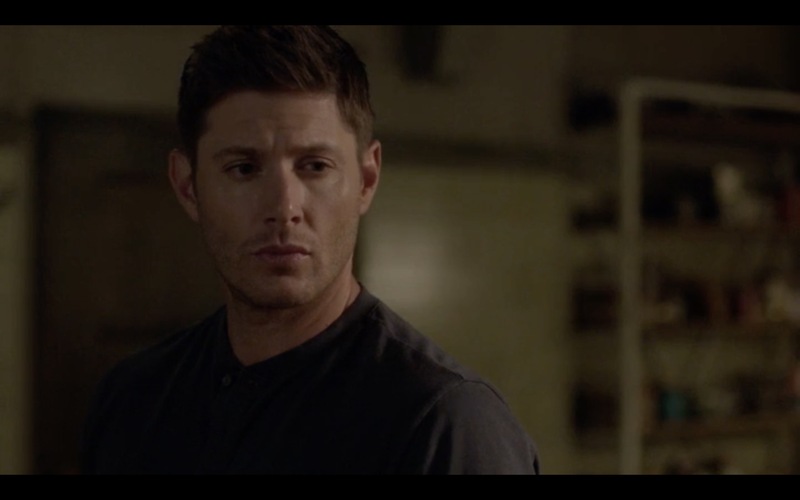 Also the Show gave me Dean in a single layer (Henley alert!) so I’m not in the mood for complaining. I’m excited to chat with the cast next weekend at the New Orleans convention now that the show is back on and I can ask show-related questions. I just hope the hotel in New Orleans gets the CW! Thanks to @kayb625 for the pretty caps! With Blood, links on this page! ← Lucky Season 13 Kicks Off for Supernatural! I didn’t think it too jarring how they jumped from story to story. 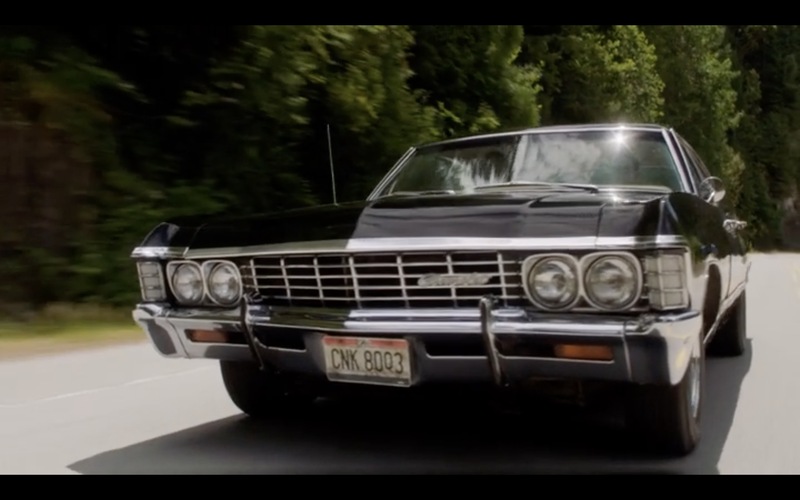 There was a loose connecting thread between the scenes, like how Sam and Dean in the Impala talking about Mary, at the end of it goes to Apocalypse World. The end of the Mary/Lucifer scene goes into the Asmodeus scene where Drexel says he locate Lucifer, that scene ends with a discussion of Jack which loops back to Sam, Dean and Jack at the motel, and so on and so forth. There was a decent flow in my view. As always, you are spot on! Loving Jack and yet trying to maintain my distance-much like Dean. I fear the day that Jack may hurt Sam and Dean will have to kill him. Or some version of that. But killing Jack will burn yet another hole into Dean’s already damaged soul. Dean needs a hug, I volunteer!! The fastest hour of television continues to delight and I’m really liking Season 13 so far! Enjoy New Orleans! Great recap as always. The jumping from story to story never bothered me. It is a norm for most shows that have multiple storylines running within the episode. Think about if they ran the first 20-25 minutes of nothing but the brothers and then the last half of show would be nothing but the other storylines. I think some would actually tune out at that time which would certainly hurt our ratings and if just a few minutes gone from the brothers is upsetting, just imagine how 20 minutes would be. I loved this episode, and then my Alabama-bred friend complained about Asmodeus’s accent and I was like, Oh yeah. That guy. I’d managed to forget him, I think because I really don’t want a fourth prince of hell, much less one who makes me think of a KFC ad. I was hoping for an end to angel-demon drama this season, at least in this universe. It’s essential to the storyline of the other universe, and the demons there seem to be more interesting than in our Hell, so I accept that. But damn, I am so over angel and demon politics!! But Jack — I love him. And as is true 99% of the time with SPN, the casting is brilliant. I’m already attached, even though I strongly suspect the writers will use him to break my heart. The scene between Sam and Jack and the self-harm scene were both powerful. And it was great to see Donatello again. I do hope that Jack develops the skill to be able to spot Asmodeus regardless of how he appears. Why hasn’t season 14 been announced yet? Happy as I am that we’re getting Wayward Daughters, I worry that it’s an out for Jensen and Jared, a way for them to be part of the SPN universe on an occasional basis. And I’m not ready! Lynn, ditto to so much of what you wrote..excellent review! I also love that the boys are able to “show” their relationship again and how well they know each other; as well as the fact that they can listen to each other and still disagree without fighting! The scene with Sam and Jack in the alley was awesome and I loved how Jared was able to show the depth of empathy with Jack and also know how broken Dean is and why he is acting the way he is. 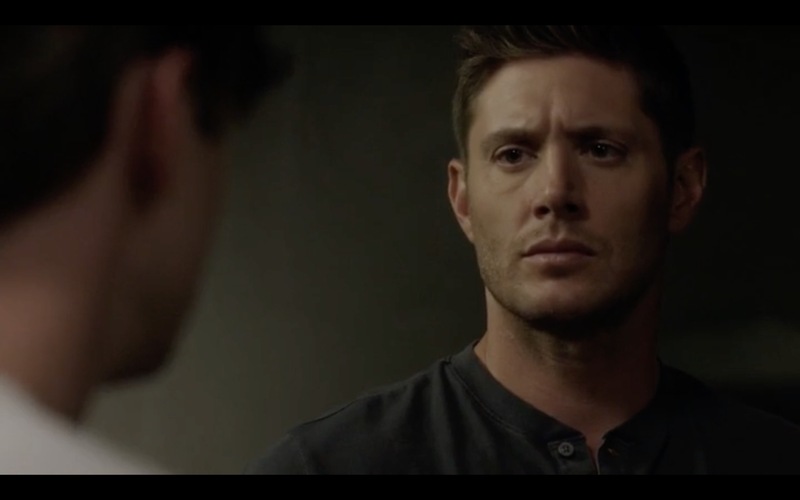 And what you said about Jensen and his ability to show so much with just eyes and facial expressions…wow! Enjoy New Orleans…as always I will live vicariously through you!! I really enjoyed the premier episode and like many I am liking Jack a lot (which is a plus as I was not at all sure this role would work). However in episode two I did find Dean’s attitude a little too one dimensional, it irritated me and I found it difficult to believe this was Dean it seemed way out of character to me anyway. A little more nuance is needed for me I guess! 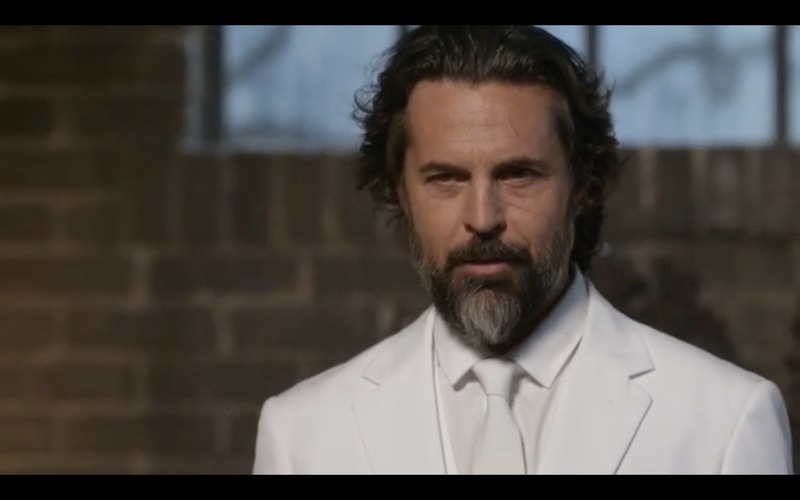 I didn’t like Asmodeus anymore than I liked it when they played Crowley for laughs but I do miss Crowley lots, so sad he had gone and as I didn’t like how they portrayed Mary last Season I found it hard to be invested in her and Lucifer’s side story (sorry but I think Lucifer is way past being done and dusted!). This sounds a bit more negative than I meant it to be and I am looking forward to more episodes! I am very much hoping that the Wayward offshoot is successful as I love the characters of Jody and Sheriff Mills – not sure about Claire though, will have to wait and see.